OTTAWA - The number of new vehicles sold fell 6.2 per cent in July to 132,386, partially offsetting gains in June. 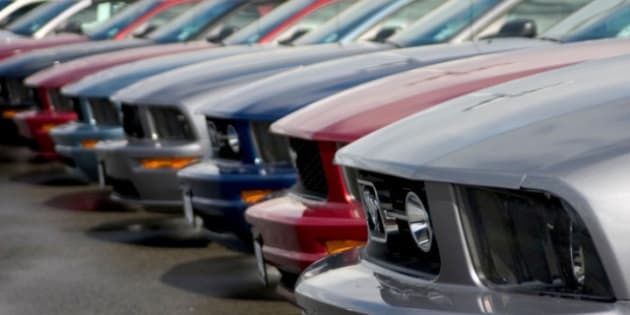 Statistics Canada reports truck and passenger-car sales both declined, with lower sales in Ontario accounting for half of the national decrease. The agency says preliminary industry data indicate the number of new vehicles sold in August fell one per cent. Sales of trucks (which include minivans, sport-utility vehicles, light and heavy trucks, vans and buses) fell 5.9 per cent to 76,360 in July, their third decline in four months. Passenger-car sales dropped 6.7 per cent to 56,026. North American-built passenger cars fell 10.3 per cent, accounting for most of the decline, while sales of overseas-built passenger cars edged down 0.2. New-vehicle sales decreased in nine provinces in July. Nova Scotia (up 1.1 per cent) was the sole province to report a rise in sales, its second straight monthly increase.